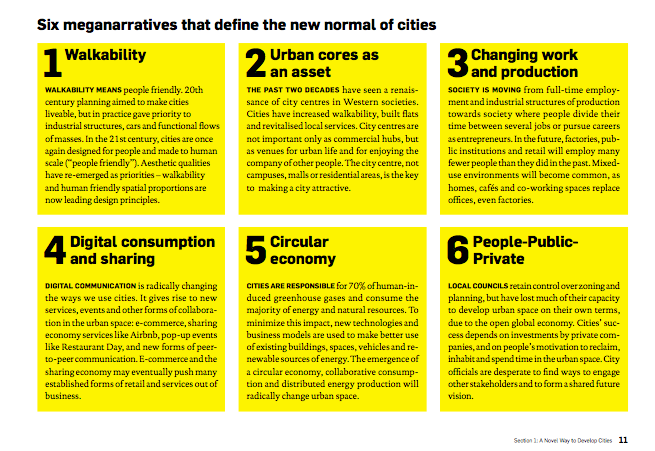 This new report is on ‘Smart cities’ – but not just technology. They talk of ‘bits and atoms’ coming together. There are case studies of ‘smartups’ experimenting in enterprise in new economic niches. There’s also scenario thinking and some examples of how the scenarios might play out in real places.